Cornus asperifolia (Swida asperifolia; Rough-leaf Dogwood). Cornus paucinervis (Swida paucinervis; 小梾木)，原生于中国。. 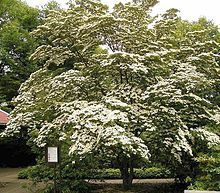 ^ Atkinson, Brian A.; Stockey, Ruth A.; Rothwell, Gar W. Cretaceous origin of dogwoods: an anatomically preserved Cornus (Cornaceae) fruit from the Campanian of Vancouver Island. PeerJ. 2016, 4: e2808. PMC 5180587. PMID 28028474. doi:10.7717/peerj.2808.